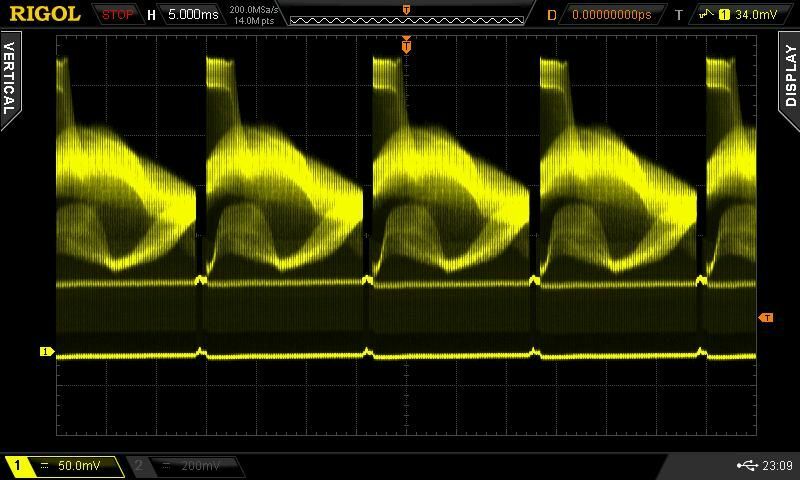 The 2000 Series digital oscilloscope is another Best-In-Class instrument from Rigol offering an unmatched feature/value package. The 2000E series are the newest additions to the 2000 family. They bring the advanced triggering, large display, and decoding features of the 2000A to customers with a limited budget. This new, low starting price enables customers to analyze higher speed signals with a larger display for less than previously possible. The 2000A Series is a fast and versatile scope covering frequencies up to 300 MHz with two channels and a wide vertical range (500uV/div-10V/div) to deliver an extremely low noise floor to help you capture smaller signals. Add a 2 GSa/s max. sample rate and 14 Mpts. of standard memory depth to its user-friendly interface and 8 inch WVGA display and you've got a scope that outperforms the competition in a wide range of bench-top and field applications. The MSO models add16 bits of mixed signal logic channels as well as an option for an embedded 2 channel, 25 MHz waveform generator. All new 2000 Series come with free option bundle. 28 Mpt memory, advanced triggering, and all serial decode included! Click to learn more. Low Noise floor with wide vertical range (500uV/div ~ 10V/div) More easily spot and capture small signals and glitches with the lower noise front end on the 2000A Series. 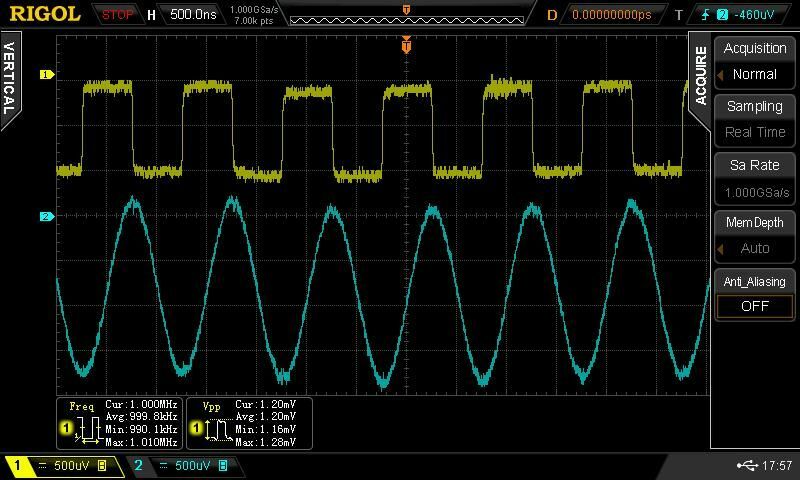 With a lower noise range setting at 500uV/div as well as included 50 Ohm termination and a clean frequency response design, the 2000 Series oscilloscope enables more sophisticated analysis of low level signal artifacts that can effect your design. 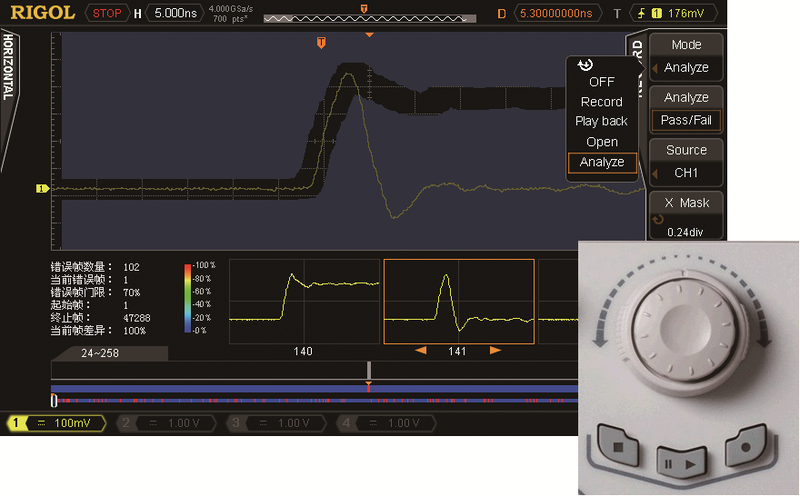 Waveform Analysis captures thousands of frames and compares them using a pass/fail mask or deviation quickly driving to the root cause of seemingly erratic or random events. 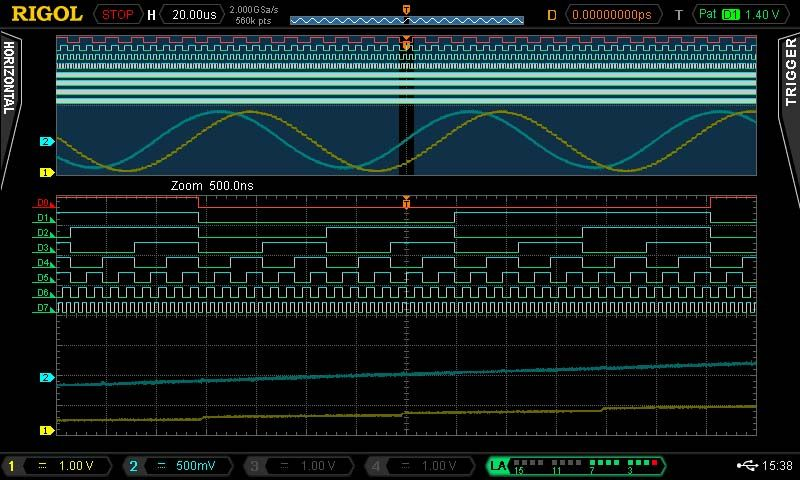 The ability to easily move between long record lengths, fast capture, a variety of persistence modes, and onboard waveform analysis makes RIGOL's core oscilloscope technology an important capability for engineers from maker projects to large scale R&D. 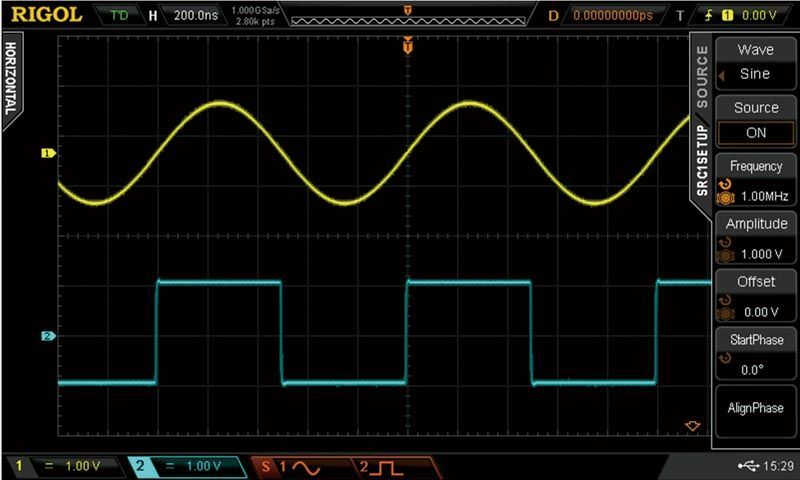 Create standard waves from the front panel, convert captured waves to emulated signals, or build arbitrary waves in the UltraStation PC Software. The embedded waveform generators included in the "-S" models adds value and capability to the bench for a variety of applications. Qty. 2 of PVP2350 - 350 MHz Passive Probe with 1x:10x selector. Wide bandwidth of 35 MHz in 1x mode.